Being involved in an auto accident is extremely stressful. Worrying about your injuries, medical bills and your family must come first. Thinking of a Personal Injury lawyer is often the last thing on your mind. However it should not be. The insurance companies have lawyers who are working against you. You need someone on your side. For someone who has been involved in any type of auto accident in St Petersburg, Clearwater or Tampa, acquiring an auto accident attorney is of utmost importance. Finding the right attorney is a major step in order to fight for any losses that you may have incurred during the accident. At Blake & Dorsten, P.A. we dedicate ourselves in helping those that have been injured or suffered any other types of damages physically, emotionally, or financially during an automobile accident. Our experience and comfortable atmosphere is the reason why many clients continue to utilize our services in the future. We are a trusted source for auto accident law in the Bay area, serving those throughout the Gulf Coast. Been In a wreck? Call Blake & Dorsten, your trusted car crash attorneys! If you or a loved one has ever been in an automobile accident there may be many things that can go wrong in the aftermath. Most importantly the safety and health of those involved is the highest priority, since many people can have lifelong pain due to injuries sustained in a car wreck. These injuries can lead to high medical bills as well as the possibility of not being able to go back to work which results in not being able to provide for your family. Even though Florida is considered a no fault state, there is still a chance for drivers that caused the accidents to be held liable for damages. Usually in order to establish fault there needs to be a thorough investigation of the accident, which is a good reason to have an experienced auto accident attorney by your side. The investigation could include eyewitness interviews, and determining if speeding, reckless driving, or other types of negligence may have played a part in the crash. Contact Blake & Dorsten, P.A. today for a free consultation. 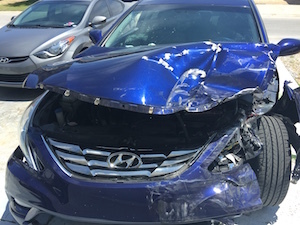 If you live in the Tampa Bay area, the first thing one should do after being in a wreck is to contact an auto accident attorney immediately so that they can start fighting for you. Every accident is different, along with those that are involved in them. Damages, injuries, or other losses are unique to each individual and we try to accommodate each person accordingly. While most accidents are caused by honest mistakes such as changing the radio or talking on a cell phone, others could be considered very reckless (such as texting or speeding) and even criminal (like driving under the influence) in some cases. Call today if you need information about our car accident attorney services or if you have questions regarding your case. We are the trusted attorneys in the Bay area; providing our clients legal help wherever it is needed.